A West Park landmark for nearly a century, Puritas Nursery reflects the spirit of the community. 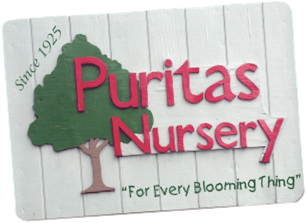 Value, quality, integrity, professionalism, commitment - these aren’t just shallow words like you will experience at the “discount” stores - at Puritas Nursery they are a way of life! If the TV tavern Cheers was a greenhouse, it would be us! Lot’s of local news and neighbors sharing their gardening experience and supporting neighborhood good causes. 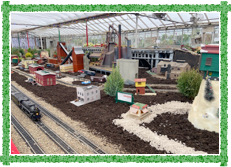 We are the home of popular public events like the Puritas Nursery Holiday Trains, Tour of Good Cheer, KCDC Wine in the Holidays, and numerous private functions. We are here for YOU, our friends & neighbors! Please make us your one-stop shopping destination! 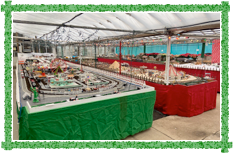 Visit our Greatly Expanded Showroom! We have a complete line of Lawn and Garden Supplies, fertilizers, weed & pest control products (featuring natural remedies! ), trellises, planters, sprinklers, hand tools, and more! Be Sure to Visit our News Page! Great values, seasonal specials, and current events abound on our News Page. Visit often! Plantone Organic Fertilizer on sale! Pansys and Cold Crop Veggies available now! Seed potatoes and onion sets available for planting mid-March. Everything you need for your green house plants & gardens! Spring is just around the corner! Now is the time to begin to prepare for the planting season!